It was a gathering of the city's most vibrant personalities, including second generation business owners, entrepreneurs and famous faces at the grand opening of W Hotel Kuala Lumpur. This colourful guestlist is a testament to the property's promise of bold design and dynamic lifestyle. 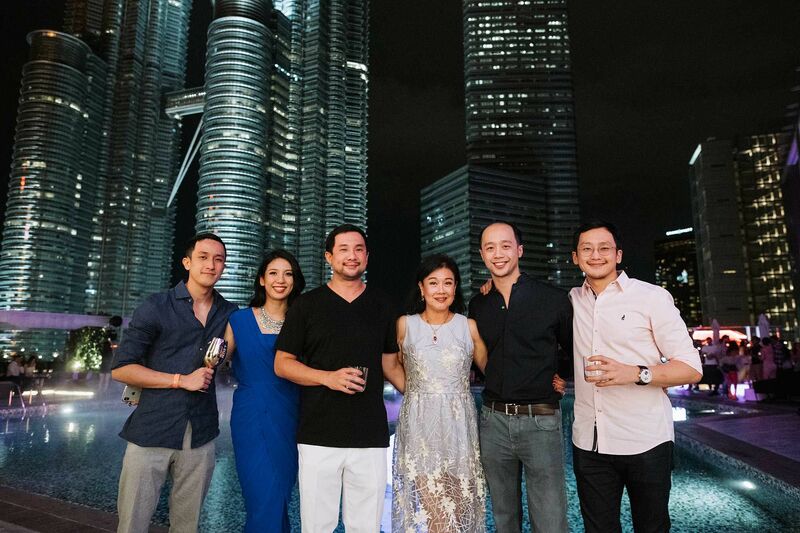 Guests like Brian Choo, Chef Wan and Datin Sabrena Dani congregated at the Wet Deck, which boasts an unblocked view of the Petronas Twin Towers. Aside from sipping at the wide range of drinks available, guests also toured the stylish rooms in customised tours. Throughout the night, Puan Sri Ivy Tan played the role of ebullient hostess, alongside her children Dato’ Dickson, Dillon, Diana, Dion and Din Tan. Morvin Tan The son of Tan Sri Vincent Tan is the COO of Berjaya Times Square and general manager of Berjaya Philippines Inc.